Getting ready for the audience! 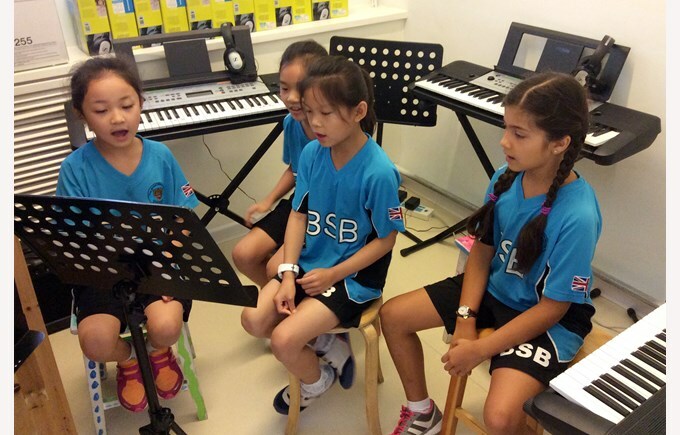 Here at BSB Sanlitun we are getting into the busiest part of this first term in Choral lessons. This will be a time of fun but challenging activities, when most of the children will get an opportunity to perform their vocal skills in many different ways to a bigger audience than just inside their class. In the following months many classes will get a chance to perform some of their vocal skills on the school stage. Reception, Year 3 and Year 4 children will start rehearsals and work on their Christmas productions whilst our youngest children in Pre-Nursery and Nursery will learn rhymes and melodies for their exciting “Sing along” Christmas event with the parents. This week has been especially important for our Key Stage 2 choir members who have been auditioning for the ‘Christmas Choristers’, which will soon start performing around the town, to a much bigger audience. It is worth mentioning that in two weeks we will have a visit from our Juilliard curriculum specialist and that we have been working hard on our keyboard skills as well, especially in Year 5 and Year 6 lessons. The children have been focused on notation and sight-reading, exploring and working on two Juilliard core works in particular: Stravinsky’s “The Rite of Spring” and traditional Chinese music for ancient instruments “Ambush from ten sides”. What a busy time in Choral!